Interview techniques to identify the right candidates for customer-facing roles. As an initial point of contact with your brand, customer service reps must be able to provide an excellent customer experience and resolve problems fairly and efficiently while showing empathy to every caller. It’s clear that a positive attitude is paramount in customer service, but not just for the benefit of the customer. It’s also crucial to maintain an upbeat outlook in the workplace. 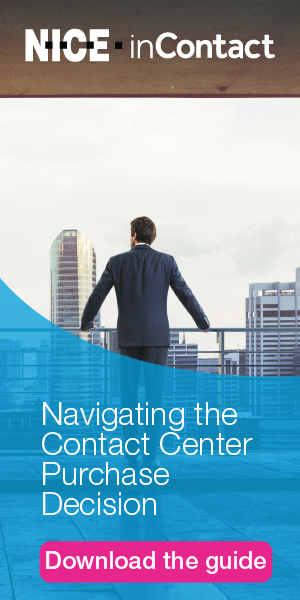 Many call centers are designed with an open floor plan where one negative attitude can quickly spread and affect the interactions other reps have with their customers. The following are five techniques that you can use during the interview process to determine whether a candidate has the right attitude. While customer service reps need to be good with people and must be able to empathize with different types of customers, they also need to understand the demands of the role and have a realistic view of what the job is actually like. Hiring managers should ask why a candidate wants to be a customer service rep or why they think that they would like to work in a call center. Let’s be honest, the job isn’t taking compliments all day. Customers call because something went wrong, and the ability to listen for the problem and solve it while displaying empathy is key. If a candidate can’t explain why they want to work in customer service aside from “to help people,” you’ll have to dig deeper. It’s important to get to the root of why someone wants to be in this type of role. Oftentimes a candidate may think they’re a “people person,” but once they’ve handled six irate callers, their attitude shifts, and they may start to take the callers’ anger personally. If CSRs will be handling voice calls, hiring managers should pay close attention to how the candidate’s attitude comes across over the phone, not just in person. Have a candidate role-play a scenario that they may encounter with a customer. Call in as an angry customer and see how the candidate responds. How does their tone and inflection sound over the phone? Are they helpful and friendly, or do they sound defensive and upset? If you’re role-playing in person, pay attention to the candidate’s body language. If they remain calm, that’s great, but if they get defensive or aggressive, it may not be the best role for them. When screening for characteristics like attitude in an interview, it’s often the follow-up questions that can shed the most light on a candidate’s disposition. Even a standard interview question like, “Can you provide a manager reference?” may end up revealing a lot more about the candidate when you dig deeper. A good follow-up question is, “What would your manager say about you?” If they talk negatively about their manager or seem bitter, it may be a red flag that the candidate has a bad attitude and doesn’t take direction well. Or, it could very well mean the candidate had a bad manager. Keep asking questions until you get the full answer. Is the candidate an active listener? Are they being attentive and showing interest in what you’re saying, or are they thinking about their next response or question? This is crucial because customers can sense this over the phone. Constantly asking you to repeat the question is a clear sign of a poor listener. STAR (Situation, Task, Action and Result) method to ask questions that uncover how a candidate has responded to different work scenarios. The point of the STAR method is to get candidates talking about the specific way they handled a challenge in the past, as opposed to answering theoretically how they would approach the challenge. For example, if you want to understand how a rep approaches problem-solving, you might say, “Tell me about a time you had to solve a problem on your own in order to help a customer resolve their issue.” Listen for the candidate to respond with a specific situation where this happened, what they were tasked with, the action steps they took to resolve it and the end result. Customer service reps play a large part in maintaining a positive impression of your brand in your customers’ eyes. Hiring for these roles should focus heavily on soft skills, with a special attention to attitude to ensure that your reps are turning customers into loyal brand advocates. Devan Hines is Vice President at LaSalle Network, a national staffing, recruiting and culture firm that specializes in call center staffing and recruiting. LaSalle has been listed on the “Inc. 5000” list for 11 consecutive years, named among Glassdoor’s “Best Places to Work,” and on Forbes’ 2018 “America’s Best Professional Recruiting Firms” list.